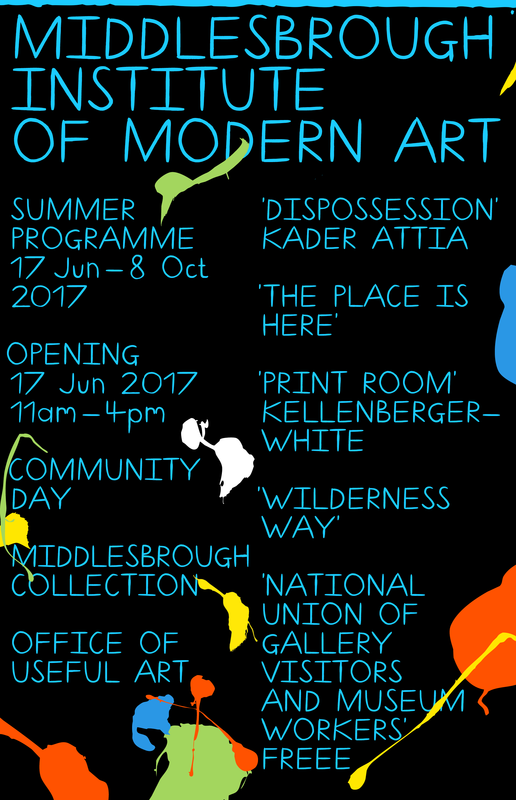 A new manifesto 'National Museum of Gallery Visitors and Museum Workers' was developed for the summer programme at Middlesbrough Institute of Modern Art. The work was commissioned to accompany the 'Wilderness Way' exhibition that takes as its departure point Margaret Thatcher’s visit to Teesside in 1987 to reflect on a decade that transformed the way we live. The manifesto operates as mini-dictionarium which describes key phrases that connect art and politics. The manifesto choir was performed collectively at Mima during teh exhibition. The manifesto choir is designed as a mechanism for the action of agreeing or disagreeing. Participants are requested to read the given text and make their own minds up about what part of it they subscribe to. When present at the group reading, the participants only read out the words of the manifesto they agree with.